Musings: Bubbles for the Blackcaps! The Test series win over the West Indies has just been completed and it is still sinking in, along with the bubbles. I don't know when it will actually seem real. As a long time Blackcaps supporter, I can tell you this is very unfamiliar territory. I got a ribbing from some of the Aussie and English fans on Twitter who couldn't understand why a Test series win is so remarkable. The truth is, we never actually expect to win. This victory was our first Test series win in more than 5 years. It's a very long time since we could celebrate like this. No wonder we're all a bit giddy over it! The Blackcaps have come a very long way in the recent past, with the team being rebuilt and restructured, and not without its share of drama. A key difference we are seeing from the Blackcaps in the 2013/14 season is they are now playing as a team- not as a group of talented individuals. Dare I say it, they are playing a bit like Australia, but maybe with more controlled aggression and better manners! Nobody threatened to break any limbs and there was barely a hint of sledging. The bowling unit is working well together as a team, and not just as one standout bowling performer. Boult, Southee and Wagner all took wickets in the final Test whereas we saw only Narine making a dent for West Indies. We took all 60 wickets across the three Tests, while our guests took only 34. A dominant performance by any standards. Southee was also able to reach his 100 Test wicket milestone in the 3rd Test, sitting next to John Bracewell on a table headed up by Richard Hadlee. The fielding has been consistently good, and at times absolutely brilliant. Everyone looks strong and positive out there. The Blackcaps have gone from a lopsided team that did well with the ball, and less well with the bat to a great team of all round performers. Ross Taylor came very close to scoring the most NZ Test runs in a calendar year, and was only a handful short.That 3rd consecutive century from him was hugely significant and felt like we were watching a key historical period in New Zealand cricket. Kane Williamson goes from strength to strength, and Hamish Rutherford's sheer determination was evident for all to see in the 3rd Test. It's so wonderful to see all that positivity and confidence out there. The team looked like they were actually enjoying it. Congratulations are surely due to Brendon McCullum for his first test series win as captain. A feat last achieved by Dan Vettori in 2008. That was a much less emphatic victory with a win and a draw against Bangladesh. And two years before that was another one against West Indies. The future is looking very bright for this Blackcaps team. It's a well performing group, with even more talent set to rejoin them as Martin Guptill has been racking up the runs for Auckland. Tom Latham has also scored a double ton playing for Canterbury and must surely be on the radar as well. Jesse Ryder has been playing confidently for Otago before he makes his return to the squad after Christmas. The home series are the ideal way to keep building on the success platform already in place with the familiar grounds, pitches and plenty of local support. At Seddon Park this weekend, the sun was shining, cicadas were singing, Sonny Shaw was waving his flag and the Blackcaps were smiling. 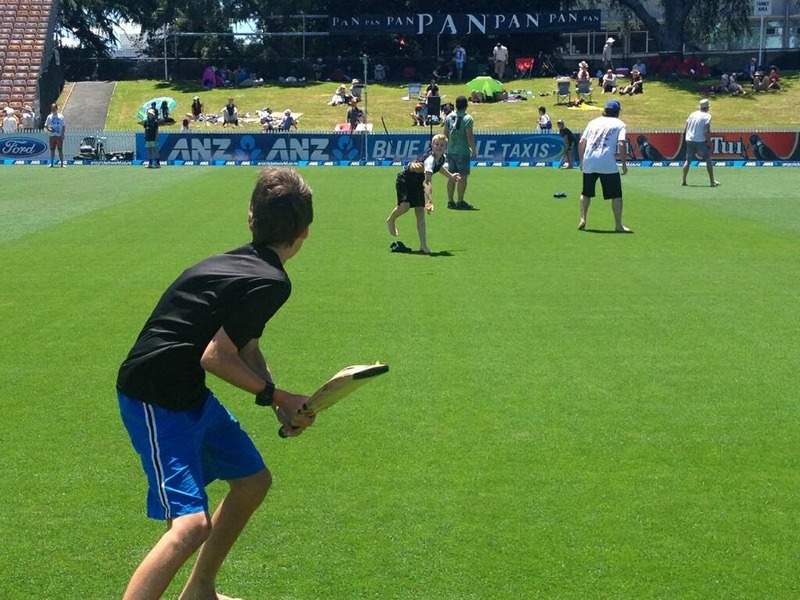 Kids were playing on the outfield in the lunch break and dreaming of the day when they might wear the silver fern. That's how cricket is meant to be at our place. 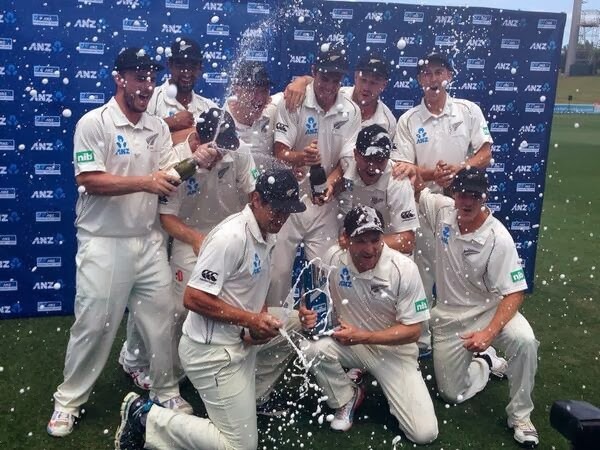 Cricket is largely a mental game and the Blackcaps confidence looks to be sky high right now. Imagine what might have been if we had this confidence last Summer!